"Oh no! Pete stepped in a large pile of strawberries... Did he cry? Goodness no! He kept walking along and singing his song, I love my Red shoes...". It's a story about a groovy cat who doesn't fret but makes the most of his circumstances. Going from singing his song about loving his new white shoes to loving whatever color they are. The colors in the book are white, red, blue and brown. 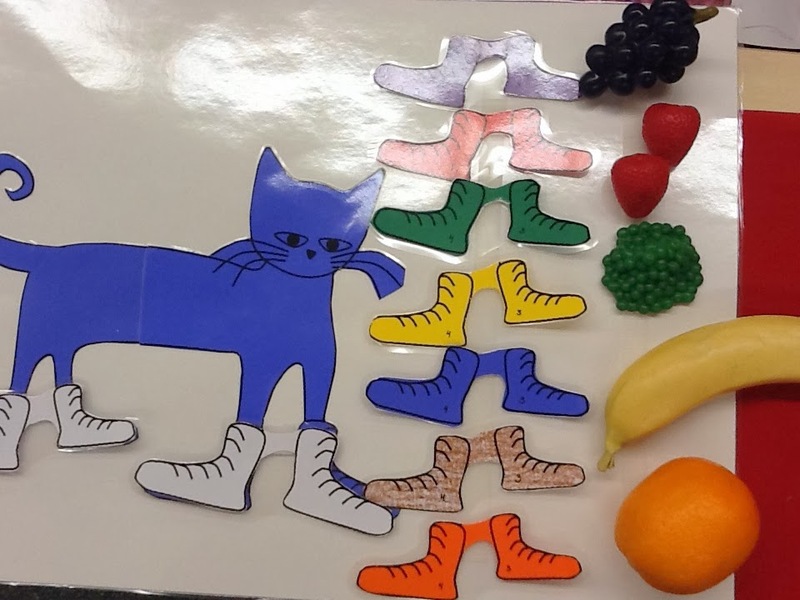 After we read and sing-along, we are going to chart the different colors our shoes could turn after stepping in a variety of things. We'll also chart the different color of shoes each student is wearing. 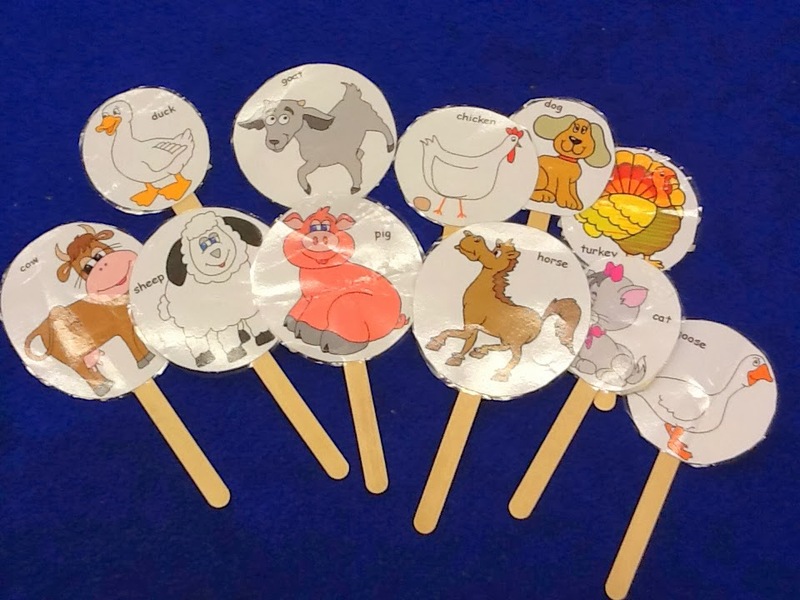 Old MacDonald's Farm: We have different animal puppets on sticks. Each student gets a stick. We will sing old MacDonald Had a Farm while we move around the circle. When a student's animal name is called, they get to decide how we move like this animal around the room. "With a baa, baa here and a baa, baa there". 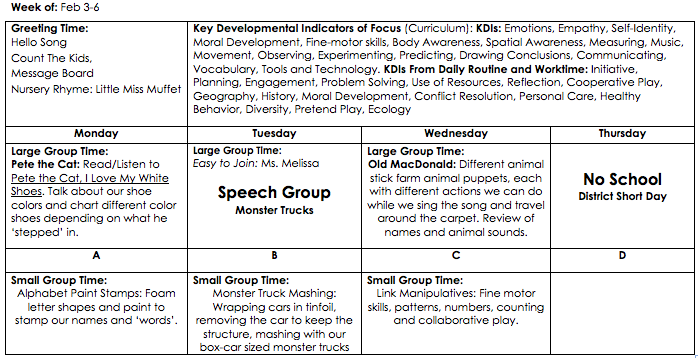 Our speech therapist is doing a "monster truck" large group activity, so to extend that theme we have "Truck Mashing" for one of our small groups, a discovery, fine motor activity with a fun and different material. Let the mashing begin!